Gamification and game-based training are two topics trending in learning and performance. Many organizations have yet to embrace these approaches because there’s a perception that fun doesn’t equate to real learning. In reality, though, when incorporated with traditional instructional design theory, games have huge potential for learners. Recently, Dr. Stephen Slota, owner of The Pericles Group, joined our BYTE roster for his presentation It’s In the Game: Merging Contemporary Pedagogy & Instructional Game Design. This blog will share his views about the power of learning through storytelling, and the differences between gamification and game-based learning. To review all the wisdom imparted during Dr. Slota’s session, view his full presentation here. Keeping this biology in mind helps us to understand the value narrative games and stories have when it comes to creating effective learning. When designing any type of learning, we need to create an environment where students can truly learn the specified objectives, and hopefully use these new skills back on the job. We need to remember to take advantage of our biology. Using games with story woven through them is one way to accomplish that goal. While they sound the same, gamification and game-based learning are actually quite a bit different from one another. Dr. Slota explained that, “Game-based learning is usually driven by something that is explicitly done in a class or course that mimics a game and includes those playful elements.” Oftentimes, this approach uses narrative to encourage critical thinking and problem solving. 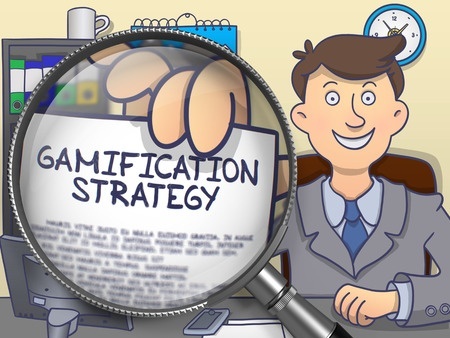 Gamification, on the other hand, is “more of an adoption of specific game mechanics that are oriented toward a particular behavior and scoring points.” More succinctly, gamification uses game mechanics in a non-game context to encourage certain learner behavior. Dr. Slota’s session included a number of useful approaches, including a detailed process for how to build a game into your learning. To review this step-by-step guide, to discover a development strategy, and to learn why gamification and game-based learning matter today, review the full BYTE session recording here.